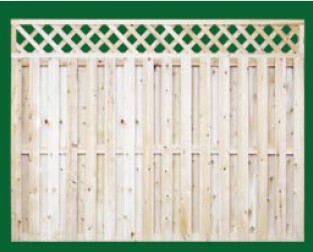 Eastern White Cedar Board On Board Wood Fence gives a fully closed fence surface look and offers privacy. 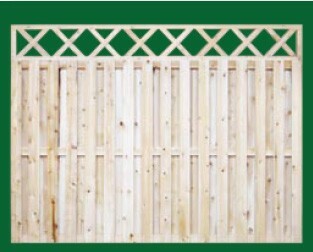 The added value of Board on Board fence is that it allows a breeze to pass through with less resistance and stress on the integrity of the fence so it provides more comfort in warm weather. This “Good Neighbor” fence is identical on both sides and can be customized for your outdoor living area with any of the many options. 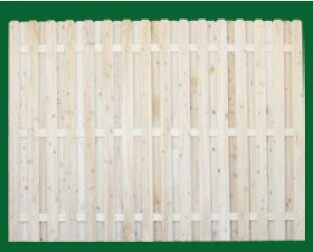 Standard fence back rails are Spruce and Cedar back rails are an option. 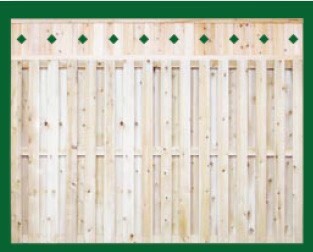 Beautifully accent your fence with a panel topper. 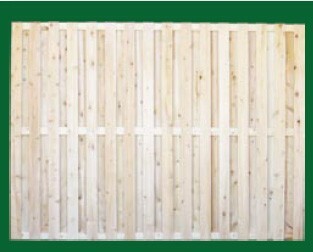 Available for tongue and groove and board on board fence sections.